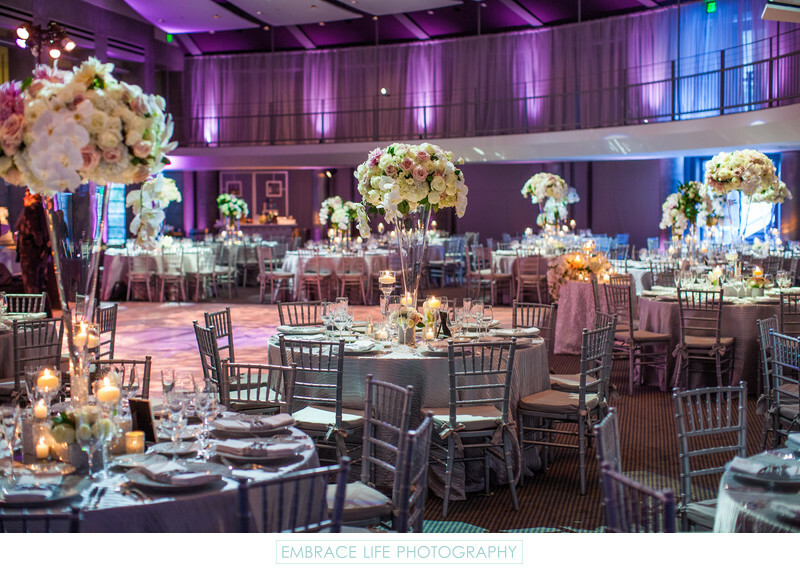 An overview photograph of a beautiful wedding reception, designed by Linda Howard Events, in the Cotsen Auditorium at Skirball Cultural Center in Los Angeles. The striking event lighting by The Lighter Side provides a romantic ambiance, complementing the warm candle light, silver chiavari chairs and linens by La Tavola Fine Linens. As always, the flower arrangements by Hidden Garden are stunning in their tall, glass vases.